The below letter was sent via PopVox to my representative U.S. 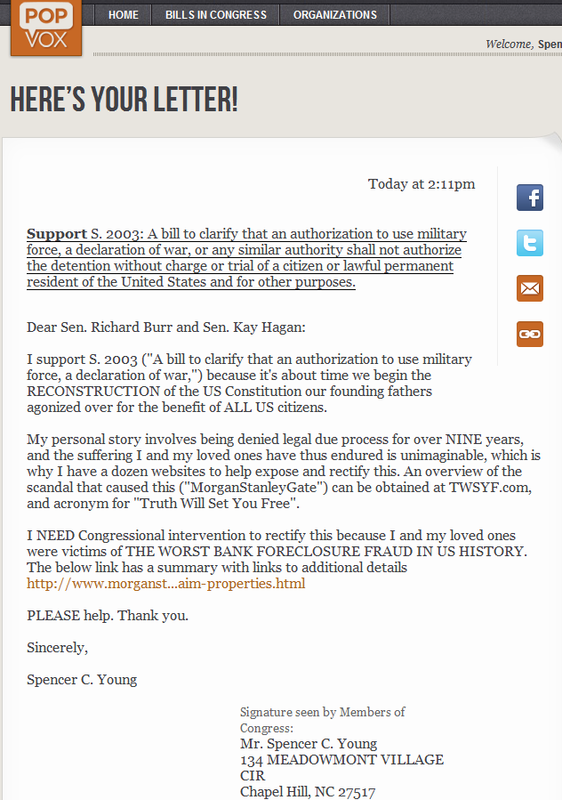 Senators Richard Burr and Kay Hagen in support of the Due Process Guarantee Act sponsored by Sen. Diane Feinstein. 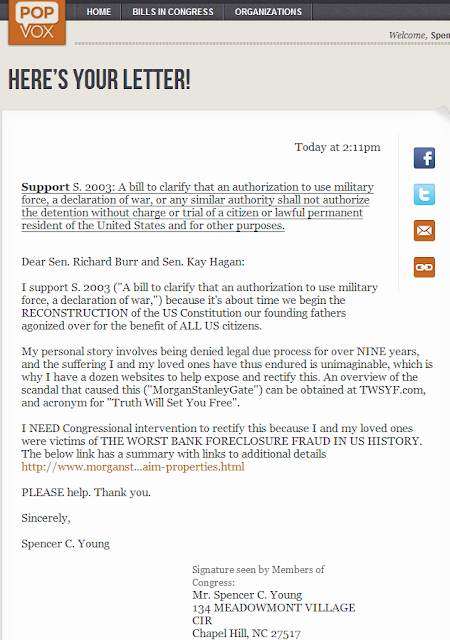 In my accompanying personal message I asked them to help resolve The Worst Bank Foreclosure Fraud in US History.